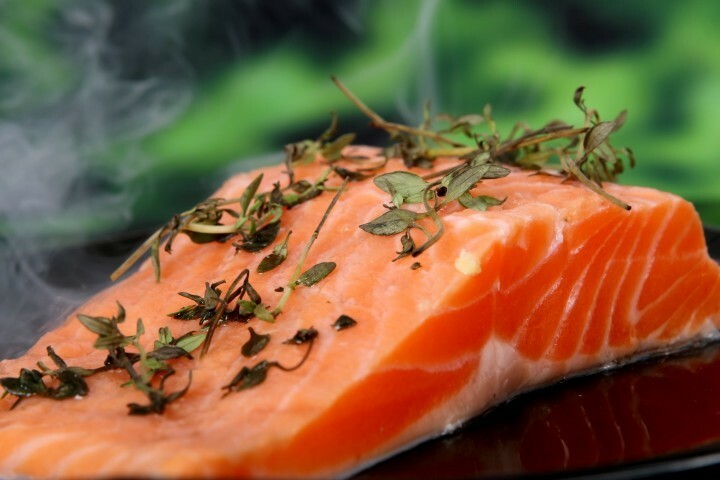 Salmon is a great source of healthy omega 3 fats for your heart! To complete the meal, pair the salmon with our Dilled Lemony Rice and any vegetable! Fresh or dried herbs/spices such as dill, garlic, tarragon, thyme, parsley, paprika and more! 2. Loosely wrap the salmon in tin foil. 3. Place wrapped salmon on cooking sheet. Add salt, pepper and desired herbs. 4. Bake for approximately 10-15 minutes, until centre is no longer darker pink. 5. Top with freshly squeezed lemon wedges.